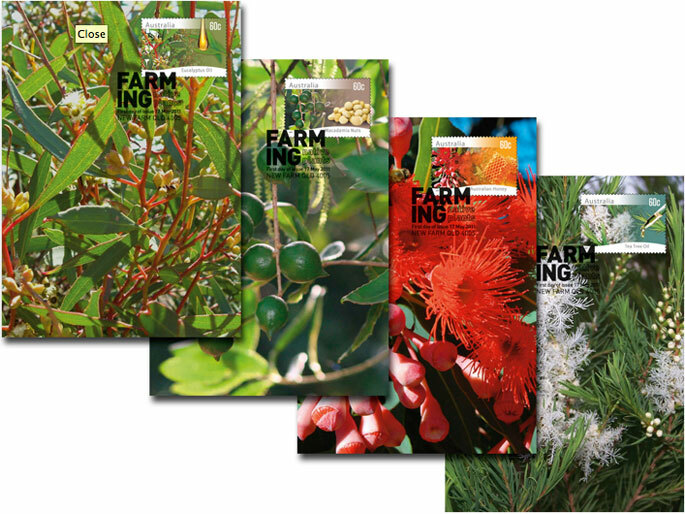 This issue shows four of Australia's largest native horticultural industries: eucalyptus oil, honey, macadamia nuts and tea tree oil. All four commercially cultivated industries have an export market. 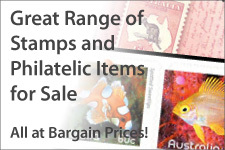 This issue consists of four stamps available in gummed sheets and self-adhesive booklets and coils. Sheets consisted of 10 horizontal strips of four, with an additional eucalyptus stamp on the end. 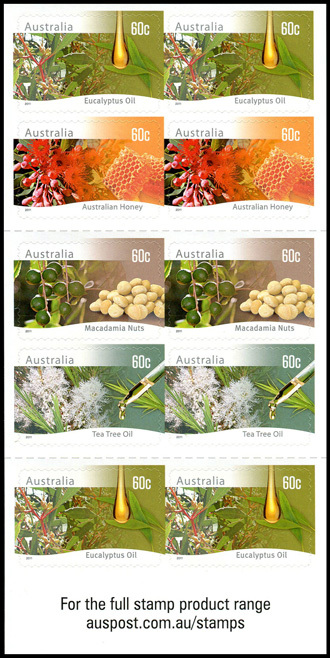 There appears to be a font 'error' where the font used for the inscriptions on the honey and tea tree oil stamps is different to the eucalyptus and macadamia stamps. 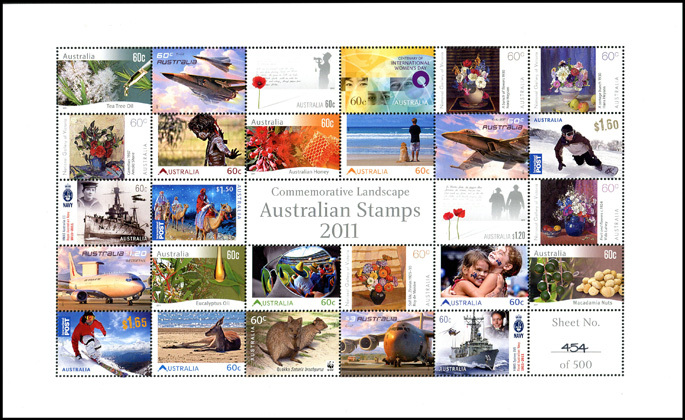 This is particularly noticeable with the 'a' and 'l' which have a 'swash' on the end (on the eucalyptus and macadamia stamps), while these are missing on the other two. No stamps appear to be printed with the other font. The gutter strip features images of the four products. 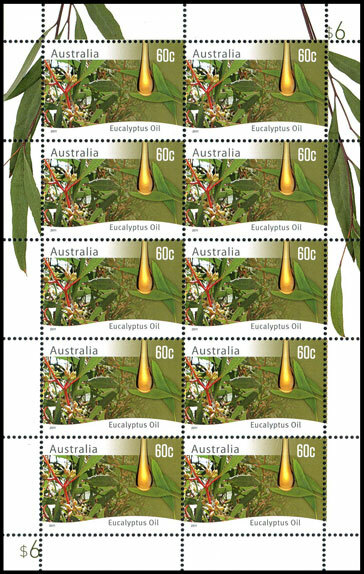 Accompanying this issue was a sheetlet of 10 Eucalyptus stamps infused with the smell of eucalyptus oil. There is very little difference between the regular sheet and sheetlet stamps (except the stamp is a little darker). To ensure you have a 'infused' stamp, they should be collected either as an entire sheet, as horizontal pairs or with the selvedge attached. 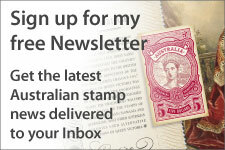 The selvedge of the sheetlet stamps is either blank or shows gum leaves; the sheet selvedge shows the stamp design continuing into the selvedge. This sheetlet was only sold in packs at $6.45 (45c above face value, and the cost of the pack). No single stamps were sold by the post office. It was later discovered that this stamp was printed by Ego Print, who pitched the idea of using 'Scentprint Varnish' to Australia Post. Notice how the stamp design continues into the selvedge on the sheet stamp, but not the sheetlet stamp. As part of the Impressions range, Australia Post released its first Multisheets. The four Farming stamps were included in the Multisheet containing all the horizontal commemorative stamps released during 2011. The stamps in the Multisheet are new for two reasons - the sheets are printed by RA Printing, and the text on the stamps is noticeably thinner, as shown in the image below. 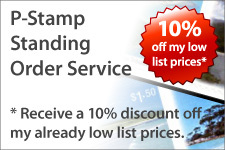 Self-adhesive stamps were issued in coils of 100 and booklets of 10. Stamps from both sources are identical.